South Orange, New Jersey: A decision made today by a United States Bankruptcy Court judge in Westchester County, New York will allow ACME and Stop & Shop to purchase three Essex County supermarkets. The Pathmark location at 407 Valley Street in South Orange will become a Stop & Shop location, and the location at 281-295 Ferry Street in Newark's Ironbound will become an ACME location. ACME will also take over the A&P Fresh location at 510 Valley Road in Upper Montclair. 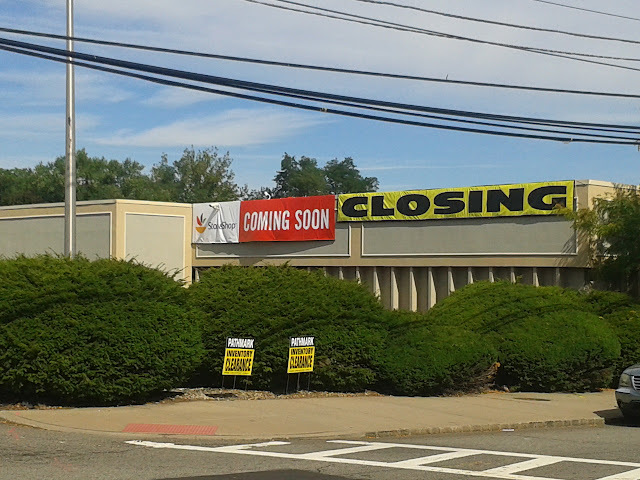 Signs were posted this weekend at the South Orange Pathmark announcing the store's conversion to a Stop & Shop location. According to Bloomberg, nearly 11,000 employees of A&P and Pathmark across New York, New Jersey, Pennsylvania, and Connecticut will be allowed to stay employed at their supermarket location. The South Orange Stop & Shop will be the third location in Essex County. Other stores are located in Bloomfield and West Caldwell. ACME closed its last Essex County location 15 years ago. Until now, most ACME stores were in the Philadelphia area. The plans were originally announced in July.